After a few days ago we saw a teaser with the LG G Watch R and we were expecting to see it at the show in Berlin, it seems that the manufacturer decided that it’s time (get it? time? nevermind…) to hurry things up a bit and show us the device before the official unveiling. Even though they’re both…well, round, we must confess that the LG G Watch R is without a doubt the best looking smartwatch on the market. Yes, we’d pick it over the Moto 360 anytime. Still, we don’t know actually everything about it, but we can tell you that it’s rocking a 1.3″ display and under it, we can find a Snapdragon 400 CPU, clocked at 1.2 GHz, 512 MB of RAM and 4 GB of built-in storage. Also, the 410 mAh battery should make LG’s new smartwatch last longer than their first model, the G Watch. As you can see, it’s not that bad when it comes to features, so we’re very curious to see how much LG is going to ask for this Android Wear powered smartwatch. It should be available on the market near the holidays, so if you were looking for a Christmas gift, this could be it. 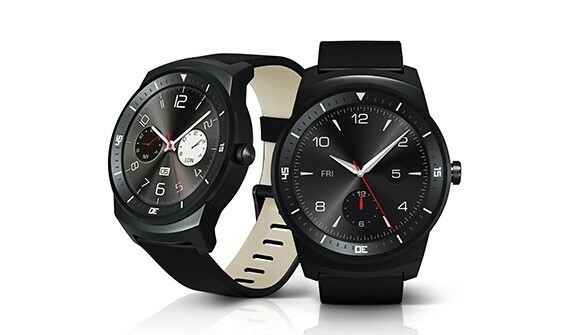 Any first thoughts about the LG G Watch R?